Given the nature of our trip and the charity we plan to raise funds for, we want to say a huge thanks to those names listed below for their support. Without them this trip really would not be possible. Refer to the bikes section for more details of modifications we made to the bikes. Throughout the trip we will be documenting in detail how the equipment we selected is holding up, this will hopefully offer a good insight to other riders planning a similar expedition. Suzuki GB is supporting Tough Miles on their round the world motorcycle adventure in aid of Cancer Research. Having the support from SuzukiGB aftersales has been crucial during the preparation stages of this trip, and it is a huge relief to know that they will be there for us if we need them whilst on (or off) the road anywhere in the world. The efficiency and diligence of the Parts and Accessories Division has been outstanding when responding to our many requests at short notice. Without their support the bikes would not be in a suitable state for such an adventure, and carrying genuine Suzuki spares will no doubt help make this trip a success. 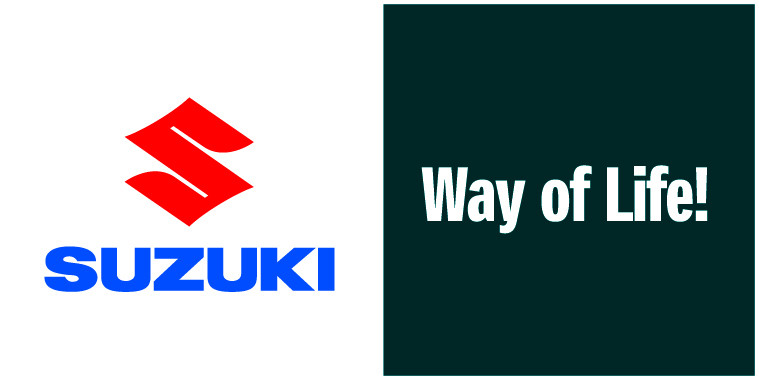 We are very grateful for the fantastic support we have received from Suzuki GB. This trip would be a severe challenge for any motorcycle and we are confident that the Suzuki DRZ400S is the best bike for the job. Forcefield, the market leaders in soft armour technology are now supporting Tough Miles on their round the world motorcycle adventure in aid of Cancer Research. Safety is paramount on such an adventure, so it is great to have such a reputable brand providing us with all the necessary body armour. Besides having better impact properties than more mainstream hard plastic protectors, the Forcefield products are extremely comfortable. Each piece of the armour is flexible and moulds to the users body, therefore ensuring that it stays in position even during aggressive riding. Needless to say Tough Miles are very impressed with the Forcefield product range and grateful to have their support. Spy Optics, a leading brand in extreme sport eye-wear are supporting this project by supplying top of the range goggles for the Tough Miles riders. Spy Optics high quality, most functional eye-wear with a patented anti-fog protection will prove priceless on the second leg of the Tough Miles mission from North America down to Argentina. What can we say about the support these guys have offered? The DRZ stock tank wouldn’t have got us much further than the ferry to Portsmouth so it was inevitable that we needed an oversized fuel tank. Read any reviews about custom tanks for trips of this nature and bikes of this style and you’ll quickly be pointed towards the Safari site. There was no other choice for us and when Alec at Core racing realised the cause we were raising for, he jumped at the opportunity to help us out and supply the tanks free of charge. Garmin, the leader in navigation solutions, is supporting Tough Miles on their round the world motorcycle adventure in aid of Cancer Research. The units supplied are the Zumo 660 and a Montana 650, along with their corresponding motorcycle mounts and full world mapping. This is the ultimate combination of sat nav devices for such a trip. The Montana 650 is a world leading off road navigation device, which will be essential for the Russian/Mongolian /Alaskan part of our journey. We are looking forward to planning ahead with Garmin’s free BaseCamp™ software, and then looking back with ‘Zumo Connect’ to see where we’ve been and share our adventure with friends. We are extremely grateful for the support Garmin has given us, what can we say, we would be lost without you! This brand needs no introduction. Lever protection on this trip is absolutely paramount to it’s success. The amount of spares we can carry is extremely limited. The last thing we wanted filling the limited space we have is a load of spare levers. With both bikes fully kitted out with a full VPS kit we can rest easy knowing that if we were to drop the bikes, the levers have the best protection out there. A huge thank you to Don Marshall over at K&N for supplying us with a full set of the legendary air and oil filters. K&N filters are renowned for being at the top of their game, and their equipment is used throughout various Motorsport categories. Given some of the harsh terrain we will encounter, it’s crucial our air filters are top of the range. Anyone who has spent any considerable amount of time riding a DRZ knows all too well that crossing 24 countries on a stock Suzuki seat is by no means a barrel of laughs. Any readers familiar with ADVRider forum or Horizons Ulimited will be all too aware of the sheer talent that these guys have to completely rebuild a stock seat for any motorcycle. A huge thank you must go out to Rob Murray over at BMS for jumping at the chance to make this trip so much more comfy! A very big thank you to Pama for supplying us with a Scala G4 intercom set. Not only can we now speak to each other whilst on the road, but we can connect directly with the GPS unit, as well as listening to our mp3 players. The ability to warn each other of any rough bits of road, hazards up ahead, or a lunatic driver trying to overtake from the rear will no doubt make this trip a lot safer. Pama is the main UK distributor for Scala equipment. A big thanks to Race Visors for supplying us with pin locks and visor treatment. The black pin locks will no doubt prove very useful for those early morning and late evening rides, and the visor treatment should help keep the visors in good condition for the full distance. I think my neighbors would like to say a big thanks to Yoshimura for shaking their windows and waking their babies. The RS2 pipe really finished our bike off nicely, and make them sound like the machines we wanted! We needed something to scare the bears off when we hit Siberia, so a big thanks to the guys at Yoshimura for helping us do that. This is one addition we were both dreading the thought of having to leave without. The Oxford Hot Grips are an absolute necessity for any trip that will involve such harsh conditions. Although we haven’t yet hit the cold parts yet, after testing the hot grips out in the garage, it’s evident that these are just the tool for the job.